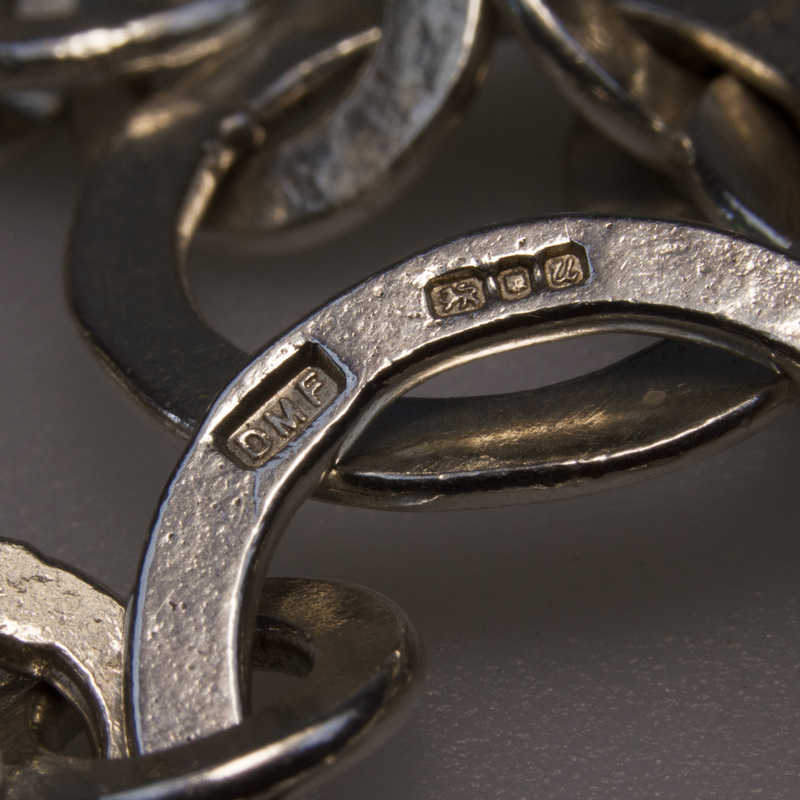 After studying Jewellery design and Silversmithing BA hons at Loughborough college of Art and Design I was accepted onto the P and O Makower One Year Bursary. While there I attended a workshop taken by Rod Kelly who furthered my knowledge and technique of chasing. With home made traditional tools and a hammer this technique allows the maker to draw and markmake on the silver, this when polished brings the metal alive with both texture and reflection. After years away from silversmithing I looked to my watercolours, which I have always painted, for inspiration. Chasing was the perfect way to translate my love of sketching onto the metal. The majority of my most recent work is based on sketches from family holidays at our beautiful coastline, cottages , boats in harbours and the fisherman's catch, the jewel like pattern of windows from a distance. From my Nottingham based workshop I have produced a range of very detailed, delicate, intricate pieces in Hallmarked sterling silver, which hopefully will evoke happy coastal memories for the wearer. All my work has a unique hallmark stamped by the London Assay Office.